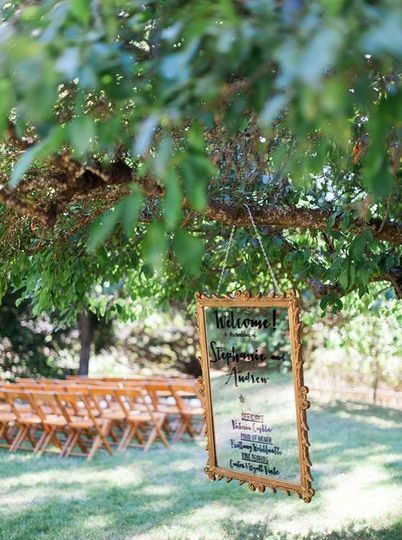 The Wayfarer is an intimate, rustic-style wedding venue located in Langley, Washington. They're happy to host both your ceremony and reception in one of their indoor or outdoor sites. 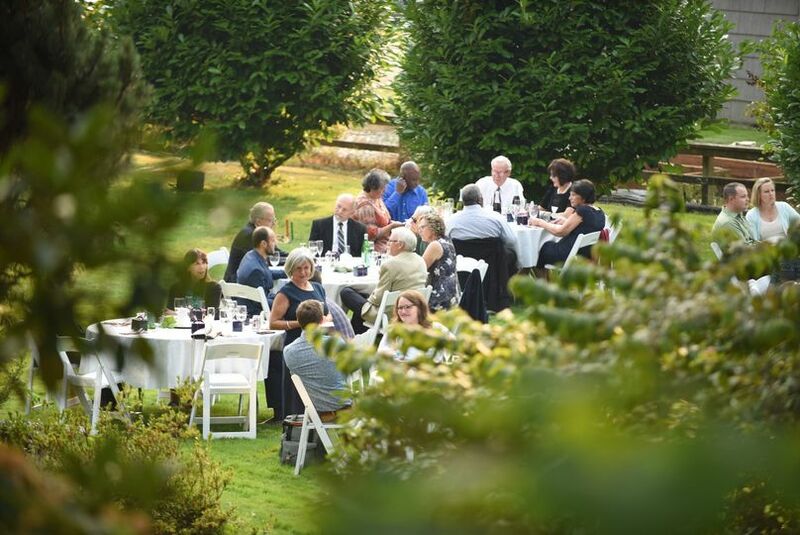 This destination venue is situated on South Whidbey Island about 45 minutes from Seattle, making them a convenient destination for all of your guests. 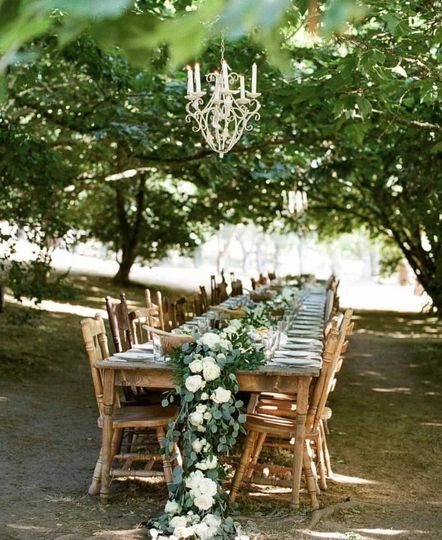 The Wayfarer, part of Whidbey Island Weddings, can't wait to host your elegant affair on their 100-year-old farm. 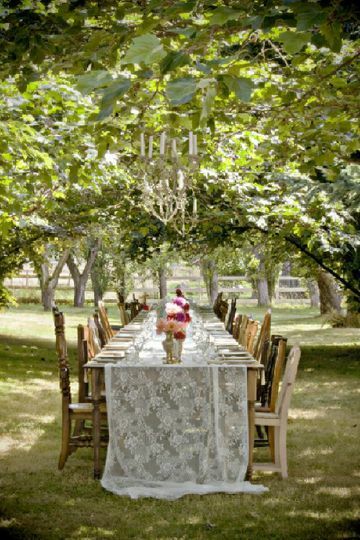 Couples can accommodate up to 100 guests at this country-style venue. Your loved ones will be surrounded by rolling hills, a beautiful orchard and two barns as you say your “i do's.” If you prefer an indoor ceremony, you can exchange your vows in their bright, white-washed barn. For your reception, you can dance the night away under the stars, or party all night long in their rustic barn. 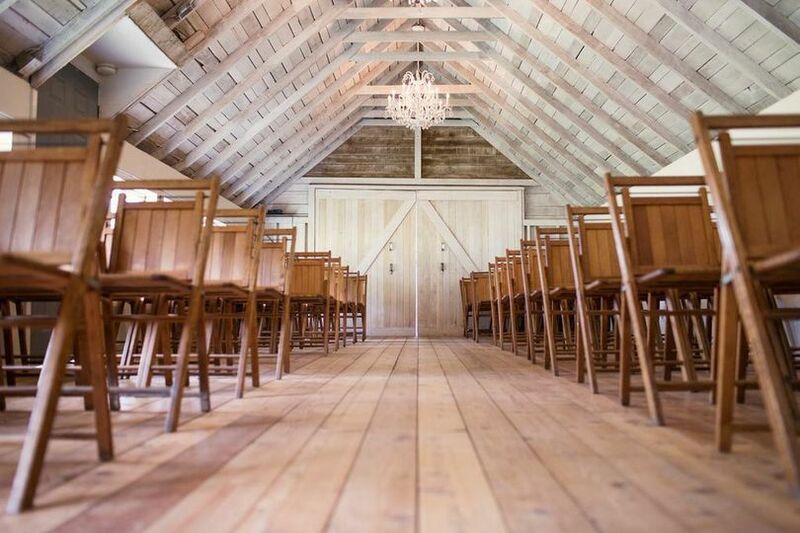 This reception barn features an exposed beam ceiling, an antique bar and both indoor/outdoor space. It can also be used for your cocktail hour. This family-owned farm is run by Kelly and Rich, who moved to Whidbey Island 16 years ago. They fell in love with a historic 1913 farmhouse, set on five acres that they decided to call home. 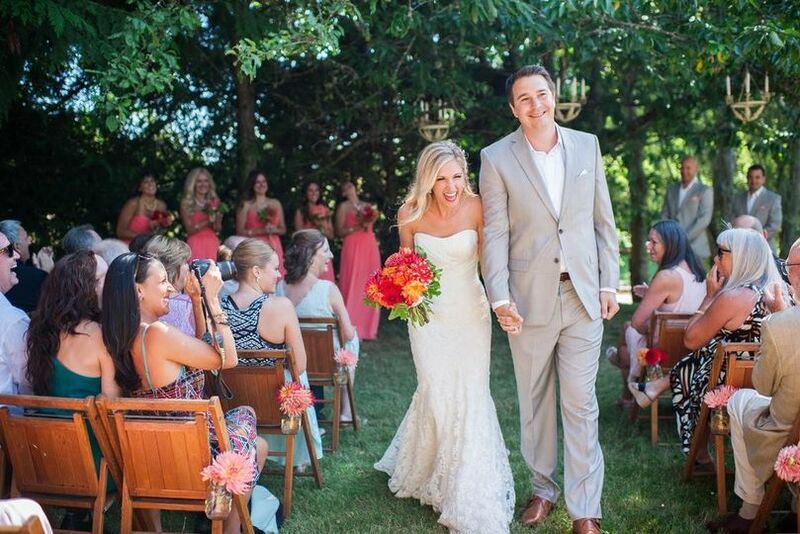 In 2011, they began hosting weddings on their beautiful property. After hostings hundred of events, they still love what they do. They pride themselves on making you happy, and making your day run smoothly, all while being behind the scenes. My wife and I got married at The Wayfarer on June 24th, 2017, and it was truly a dream come true. 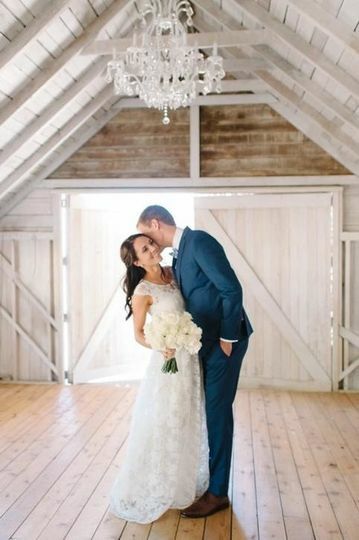 We opted to hold the ceremony inside the barn, which was intimate, cozy, and exactly what we envisioned from day one. It happened to be a hot summer day (miraculously given the unpredictable weather), and Kelly’s team provided our guests with fans to keep cool before the ceremony. Kelly, Erica, and the team created the flower arrangements and did such a beautiful job – our wedding was filled with white and peach/blush colored roses and peonies, and my wife got what she is affectionately calls her “dream bouquet”. The table arrangements were so thoughtfully done and the details around the venue tied everything together. These details gave us the rustic yet elegant vibe we had dreamt of. We extend a big thanks to Erica for capturing our vision perfectly! The long dinner table we had fallen in love with was nothing short of amazing. 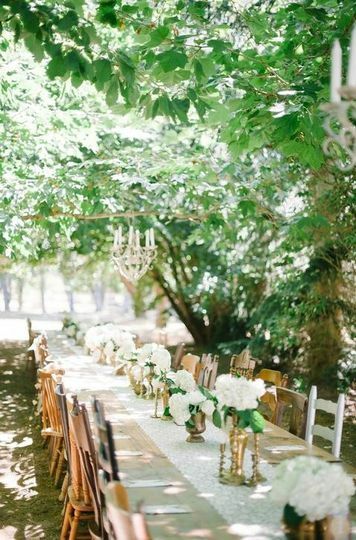 Sharing dinner with our closest family and friends was so special, and the table arrangements under the greenery and chandeliers were magical. During the reception, there were a lot of activities available for guests – they enjoyed dancing under the string lights, playing lawn games, toasting s’mores over the fire pit, and ending the night with a sparkler sendoff. Everyone had an amazing time, including us! Looking back, we truly could not have asked for a more perfect day, in large part thanks to the gorgeous venue, as well as Kelly and her wonderful team. We are grateful for such a memorable and special day at The Wayfarer, and we highly recommend checking out Whidbey Island Weddings if you’re looking for a beautiful venue space and wonderful team! The Whidbey Island Weddings team made our wedding day more than we ever could have hoped for. In the planning process, they were always there to answer even the smallest of questions and worked with us to create the wedding of our dreams. On the day of, all my fiancé and I had to do was arrive to the Wayfarer, say our vows, and dance the night away with our family and friends! The Whidbey Island Weddings team took care of all the details, which meant we could truly just enjoy our first day together as husband and wife. The venue was beautiful, flowers and decorations were perfect, and our guests loved the lawn games. If you're looking for a romantic, intimate venue, with an amazing team of people to make your dream come to life, the Wayfarer is for you. 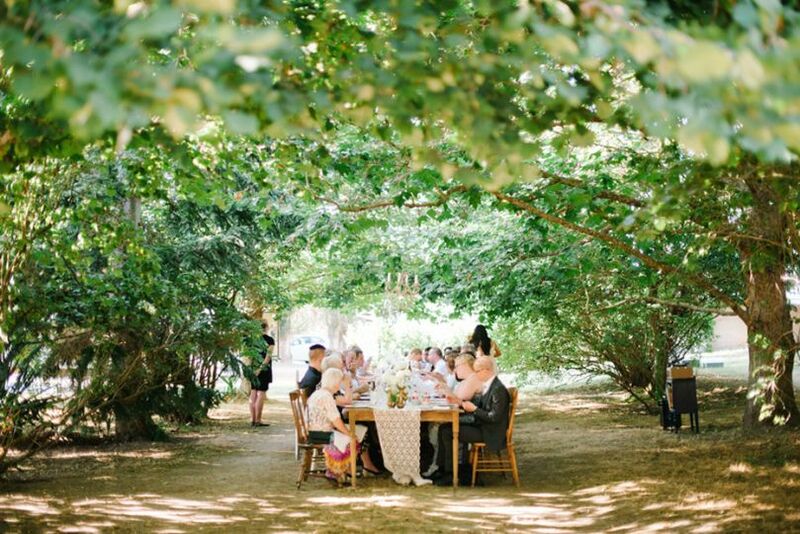 The Wayfarer is a beautiful venue with a large stock of wedding props giving you a most romantic and picturesque setting for your very special day! 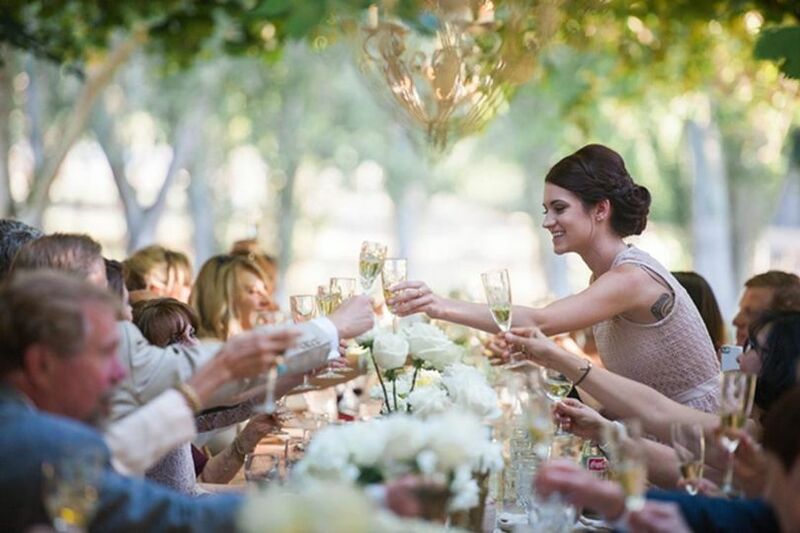 Kelly and her staff help you every step of the way with coordination, styling, and even floral arrangements making this a perfect day to enjoy with your family and friends! The Quintessa has often been the home base providing the lodging accommodations for the wedding party with the lovely Wayfarer as the wedding venue. The Wayfarer is a gorgeous wedding venue here on Whidbey. I have worked with many Wayfarer brides who have been exceedingly happy with their weddings there. 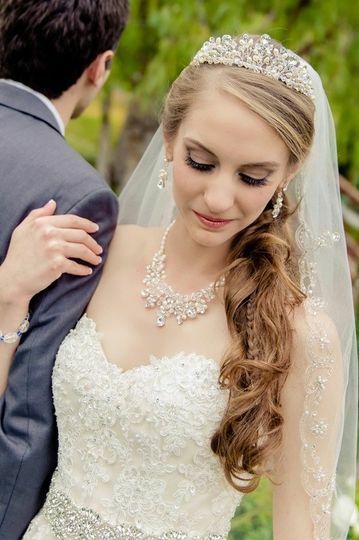 Kelly is one of Whidbey’s best wedding coordinators and is always working hard to stay on the cutting edge of what’s hot in the wedding industry. Great venue, great staff, great vendor associates, beautiful weddings! Shopping for a wedding venue? Be sure to shop this one. Whidbey is a magical place and it’s so close to Seattle!